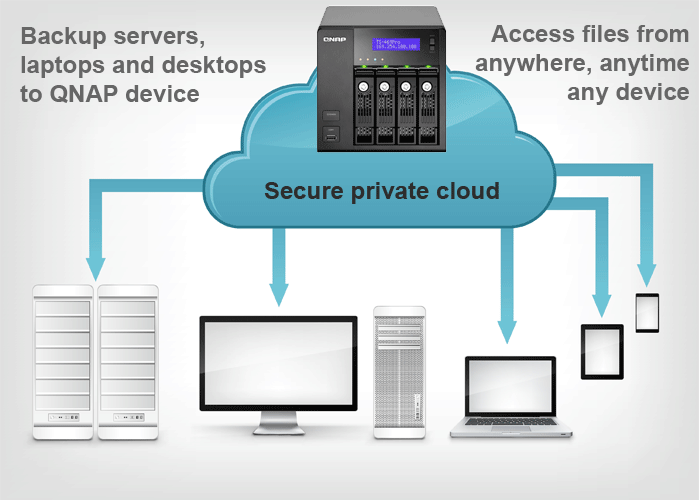 In this article, we will demonstrate how to maximize the capabilities of your QNAP device and enable it to act as a private-cloud backup repository using Syncrify. Block level backup - transfer modified blocks within a file instead of transferring the entire file again. Allowing faster backups over a slow network connection. QNAP sells a wide range of NAS devices - some are geared towards home users that cost a few hundred dollars while others are designed for large organizations with built-in support for RAID. We recommend choosing a device with an Intel CPU instead of a low-end device with ARM CPU, particularly if your goal is to utilize this NAS for more than just file transfer and storage. In this article, we will be using QNAP TS-543 Pro in this article, which has Intel Celeron CPU with 2GB Ram and a capacity to hold up to 4 disks. At the time of this blog, the cost of this device without disks was around $500. You will need to download and install Syncrify Server's QNAP package in order. Syncrify is free for personal use and can backup one computer. The personal edition has some limitations that are mentioned here. For the sake of this article, we will assume you have about 12 computers (a mix of laptops, desktops and servers) that need backup. The cost of 12 licenses of Syncrify will be $490. The following instructions assume you are using a computer running Windows operating system. 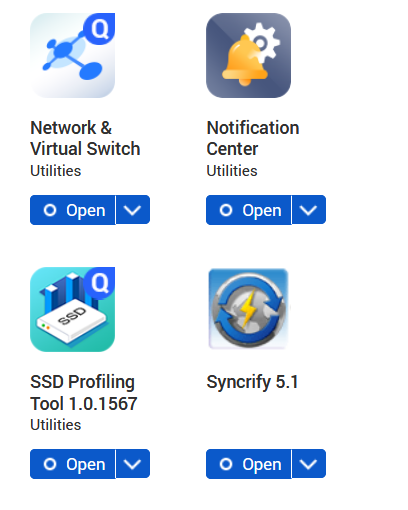 First, download the Syncrify QNAP package from here. 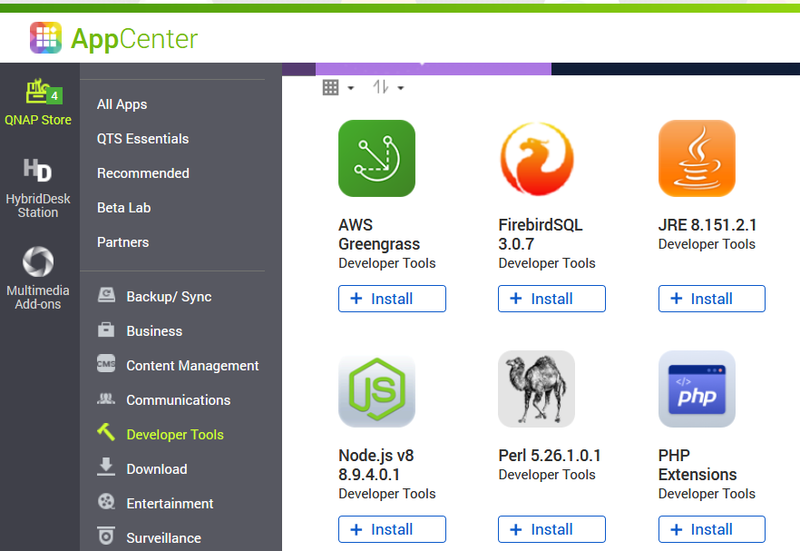 Under Developer Tools, locate JRE and select Add To QTS. Click here for a screenshot. Now you are read to install Syncrify. Click Install Manually button on the upper right hand corner. Click here for a screenshot. Select the extracted Syncrify_3.7.qpkg file using the Browse button and finally click Install. Once the installation is complete, you should see Syncrify in your Home menu. Click here for a screenshot. Please refer to Syncrify Administrator's Guide for further help. The default HTTP port on QNAP is 7800. On a regular server it is 5800. This change was done to avoid port collision with other services like VNC on QNAP. Using the method demonstrated in this article, small offices can backup up to 12 computers for around $1,600 - a one-time fee. Comparing this cost to the value of your precious data leaves no reason for you to not backup your computers. ?